Young Cubans addressed the question earlier tonight: "Is Cuba Changing or does Totalitarianism Continue?" 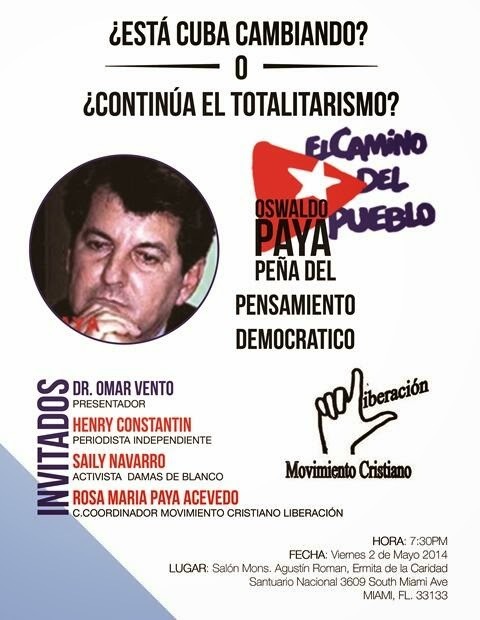 at the Oswaldo Payá Teach-In at the Shrine of Our Lady of Charity in Coconut Grove located on the Bay. 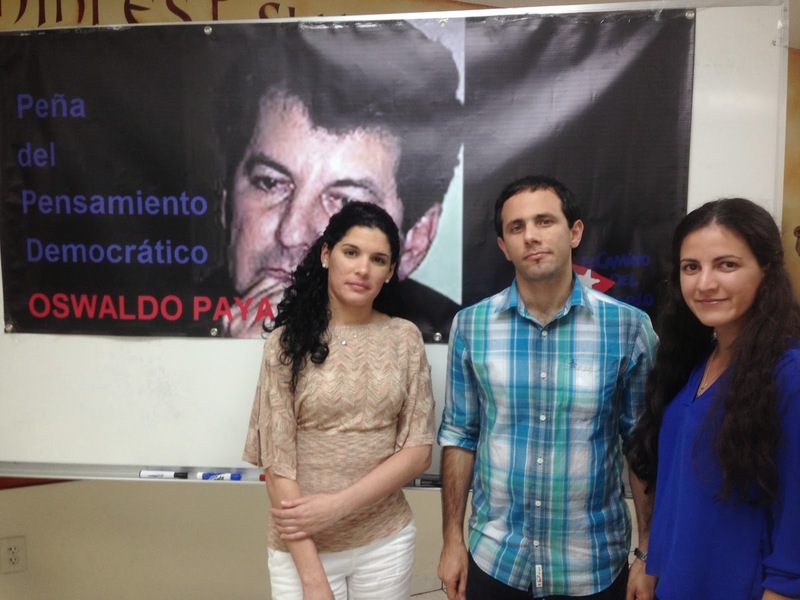 Rosa Maria Paya Acevedo, Sayli Navarro and Henry Constantin each gave their vision of the current situation on the island and prospects for real change in short presentations. The consensus from the three is that the government of Cuba is not changing and that the much publicized measures are more for international consumption, but repression and the desire to stay in power remains undiminished. However, at the same time the Cuban people are changing, losing their fear, little by little, and demonstrating greater solidarity with the democratic opposition. At mid-day the Christian Liberation Movement (MCL) tweeted that Dr. Eduardo Cardet and other MCL members received a death threat for wanting to attend the trial against MCL member Werlando Leyva. At 4:18pm Rosa Maria Paya Acevedo tweeted that Dr. Eduardo Cardet and Lisban Mariño had been detained in the morning for for hours to prevent them attending Werlando's trial.Werlando had been the victim of a machete attack by a government agent on June of 2013 and today was placed on trial and faced with a false and incoherent witness and the government wanted to fine him. Following the attack Werlando spoke out and denounced the crime. Among the MCL members who had tried to attend the trial of Werlando Leyva was Damaso Fernandez who has physical-motor disabilities and he too was detained and mistreated to stop him from attending the sham trial. However, despite all the above, Cubans are slowly losing their fear and demonstrating greater solidarity with democratic opposition. This is due in part precisely to the above abuses that generate a boomerang effect with the repression that raises the outrage of Cubans witnessing such attacks on human dignity and rights. There is hope for the people of Cuba.